When you are facing charges for a criminal offense or motor vehicle violation in Willingboro, New Jersey, the consequences can be scary and you may not know where to turn. It is often shocking to find out how serious a disorderly persons offense is in New Jersey, with potential penalties including up to 6 months in jail, a fine of $1,000, suspension of your driver’s license, community service, probation, and more. Even traffic offenses carry heavy fines and other serious penalties, and who can afford to lose their driving privileges? At our criminal defense law firm, our skilled criminal defense attorneys have years’ experience defending clients against simple assault, possession of marijuana, disorderly conduct, harassment, criminal mischief, driving while intoxicated (DWI), and other criminal and traffic charges in Willingboro and throughout Burlington County, NJ. We know you didn’t intend to be in this situation, and we can help you resolve it in the most successful way possible. If you are dealing with a criminal or traffic matter, contact our office today at 609.832.3202 for a free consultation with an experienced Willingboro criminal defense lawyer. You can also send us an email to arrange an appointment to meet with us in person. Willingboro Township is one of the largest municipalities in Burlington County, with a population of nearly 32,000 people according to the last U.S. census. The township spans over 8 square miles, with over 122 square miles of roadways, including U.S. Route 130, which traverses it into neighboring Delanco Township and Edgewater Park. Considering its size and population, it is not surprising that police frequently patrol Willingboro in search of people violating New Jersey’s criminal and traffic laws. If you are arrested for a disorderly persons offense or petty disorderly persons offense in the Township of Willingboro, your case will be handled in the Willingboro Municipal Court. 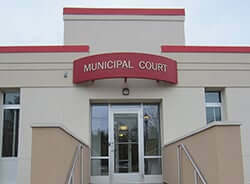 The municipal court in Willingboro is also responsible for handling traffic violations that occur within the township. As mentioned above, disorderly persons and serious motor vehicle offenses can lead to significant penalties and collateral consequences. For example, traffic violations can result in increases in insurance premiums. Additionally, “crimes of moral turpitude” like shoplifting can impact immigration status for people who have not obtained permanent U.S. citizenship. If your case is even more serious and you are charged with a felony, these charges are adjudicated in the Burlington County Superior Court, Criminal Division. The Willingboro Township Municipal Court is located at 1 Martin Luther King Jr. Blvd, Willingboro, NJ 08046. The Presiding Municipal Court Judge is the Honorable Harold George and John McGill, Esq. is the current prosecutor. The head Court Administrator is Carolyn Campbell, who is assisted by two Deputy Court Administrators, Deborah Long and Victor Batey. For additional information, visit the Willingboro Township Municipal Court website. For additional information about Willingboro, visit the Willingboro Township Official Website. The Willingboro Police Department is located at 1 Rev Dr M L King Jr Dr. Willingboro, NJ 08046. For non-emergencies, the Willingboro Township PD can be reached at 609-877-2200. To learn more about the Willingboro Police Department, access their website. If you or a loved one has been charged with a criminal offense, DUI, or traffic violation in Willingboro Township, NJ, your next steps are critical to the outcome of your case. You need an experienced criminal defense attorney on your side to fight the allegations and work toward the best possible outcome. The drawbacks of going it alone or using a public defender are simply not worth the risk. To speak with an attorney now who can answer your questions and begin developing an effective defense strategy, contact our criminal defense law firm at 609-832-3202. A member of our team is always available to assist you and we provide consultations free of charge.